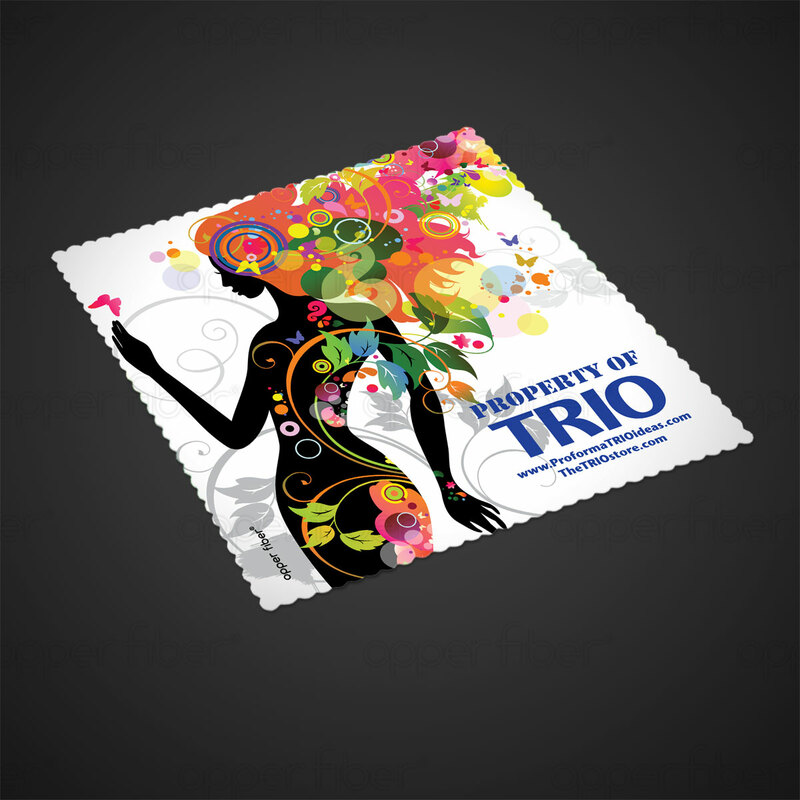 Proforma is now working directly with Opper Fiber® Cloths to produce retail quality cloth fiber products for TRIO. Clean the PC screen, clean that phone screen, clean your glasses, or any other surface with the best cloth fiber on the market today. And get 100% gorgeous full color art included on all orders. Perfect item for custom art orders. All items are made in USA, reusable, and washable. These are a great practical product that your audience will keep for a very long time. Using full color process, get creative with our most popular cloth – the Ultra Opper Fiber(R)! With a thicker and heavier weight than the Premium Opper Fiber (R), this 6″ x 6″ accessory is effective at cleaning eyeglasses, mobile devices, tablets, laptops, LCDs, goggles, jewelry, navigation systems and so much more. Choose your color, add a custom imprint (with a QR Code) and use as giveaways. It leads the industry in performance and value!